Tourism is one of the world's largest industries, if not the largest. Its environmental impact - whether from the act of travelling, the infrastructure to accomodate tourists, or directly from the tourists themselves - is enormous. Correspondingly, establishing criteria and guidelines for sustainable tourism is crucial, but while a great deal of work has gone into researching these issues, the results have been distributed piecemeal, and consequently have been difficult to act upon. 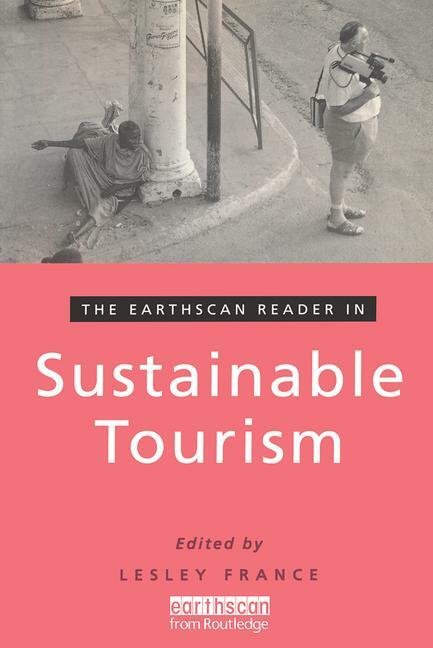 This Reader brings together in one volume those essays most relevant to the debate over what exactly sustainable tourism is, and how best it can be applied. The selection represents a range of viewpoints on different kinds of tourism and different destinations. It provides an indispensable handbook for all those studying tourism or involved in trying to ensure that tourism becomes genuinely beneficial and hence sustainable. Principles of Sustainable Tourism ? Changing Consumption Patterns ? Promoting Sustainable Development and Combating Poverty - Environmentally Sound Programmes ? Socio-culturally Sensitive Programmes ? Empowerment and Participation ? Economic Perspectives - from Benefit to Cost? ? The Role of Governments. .